Every Christian has a desire to praise the Lord. Yet, in these unsettling times in which we live, the hopelessness and depression of this world has stifled this desire. This is an all-out attack of our enemy. "The joy of the Lord is our strength" (Neh. 8:10). Satan is trying to cut us off from one of our greatest sources of power. This three-part series will help you fight back. 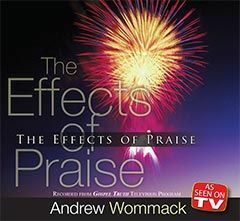 This teaching opens the truths of God's Word to show how praise is essential to the spiritual health of a Christian. Praise is God's antidote and prevention for depression. Praise produces peace. There is a direct relationship between our thankfulness and how much we trust in the Lord. Praise to God causes our faith to abound. Praise is one of the distinguishing characteristics of a mature Christian. Praise to God is power that stops the devil dead in his tracks. Satan's original sin was to want the praise reserved for God alone. He is insanely jealous of God. When we give the Lord our worship and praise, Satan flees in revulsion. Isn't that great! 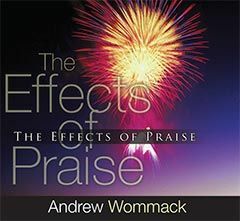 Praise is a powerful weapon in our spiritual warfare. 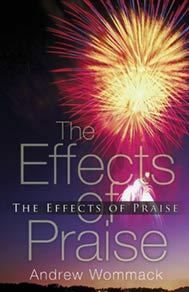 Most Christians have not realized the profound effect that praise has on God. As we express our love through praise and worship, God gets blessed. That's what the scriptures mean when they tell us to bless the Lord. These aren't just words that we say, it's something that happens. This teaching will add a new dimension to your life as you learn the joy of ministering unto God.